Hello and Happy Easter to you! 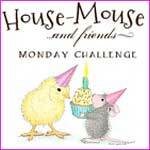 We are ready with a new challenge at House Mouse & Friends. "Stop and Smell the Flowers"
You also have the alternate option of entering the challenge with an "ANYTHING GOES" project too! 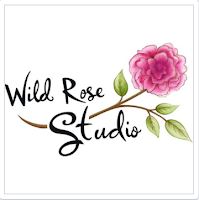 Just be sure to use a House-Mouse, Happy Hopper or Gruffies stamps, CD collection images and, or, any decoupage by House-Mouse Designs(R) on your projects! from Maja Design- I love the purple! The cute mousey image is called 'Take Time To Smell The Flowers'! The small tag sentiments are from LOTV. 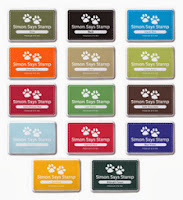 spree at Stampendous, or the adorable clear stamp set. today is a card to celebrate her day. I've made a shaped card using my favourite die from Go Kreate. and it's coloured with my Prismas. The two tag sentiments are from LOTV, I love them. just rotated, hope it's okay to do that. CI- # 272 Spring Spectacular! 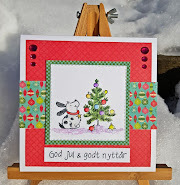 H og I er for....DT kort for ABC Christmas Challenge. 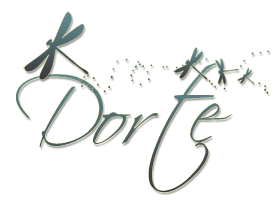 hvor jeg er så heldig at være med på Design Teamet. sponsore med os, så kom og deltag hvis du har lyst. Denne lille afslappede fyr er et House Mouse stempel som hedder 'Making Prints'. Mønsterpapiret er ældgammelt, det er fra Little Yellow Bicycle. Er han ikke bare herlig? Jeg har brugt denne sketch fra BaLiSa Challenge's. Prize - £10 gift voucher! 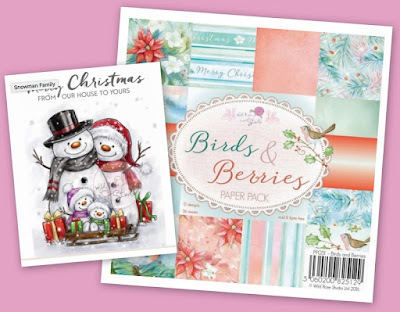 Birds & Berries 6x6 Paper Pack! Thanks so much Dulcie & Matthew, owners of the Wild Rose Studio! H and I are for...., a DT card for ABC Christmas Challenge. and the paper is from from Bo Bunny. and I've added a snowflake in the corner. The cute sentiment is from LOTV. 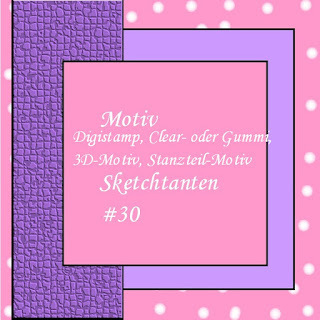 I've used this sketch from Cheerful Sketches. Birds and Berries 6x6 Paper Pack.